A boy. Not a man. My brother, so hopeful and eager to be older. We just came back from a road trip. Not a road trip actually. A journey to the next town over. It’s not special; it really has no meaning. It’s just a way we can run without leaving, together as siblings. It’s not like we could actually run, even if we tried. We want to. We want to escape the confines of this god forsaken town that only gives us rocks and cracks to trip over, potholes to hit, and cold nipping at our fingertips. It does get chilly around this time of year. That’s why we can’t get ice cream anymore. Only fries or sandwiches. I get out of the car and get ready to take the picture, he calls to me. He wants every little thing we did here to be commemorated. He didn’t use those words, but I got what he meant. He didn’t care how small they were in the picture, he just wanted them there. The bag on the hood meant something to him. It made him feel like he was real. Like we really did spend a day together, and it wasn’t some dream he had. He needs something to touch and to feel, so he knows for sure. He collects postcards. Like he collects yells from every adult he talks to. He is only ten years old, but he doesn’t want to smile or talk to me anymore. He never talks to anyone at school or anywhere for that matter. Unless we are in the car. Only this car. That’s why he asked for the picture. He wants to remember this car and this moment. The sandwich we shared because we didn’t have money for two. He wants to remember the times where he felt like he could say a word, just one word without being criticised or called a child. In this town, in this car and in this moment, we planned on never going home. That’s my grandson, Luke, standing by the car. He’s holding a postcard of some building he saw on vacation, he’s always collecting pictures of buildings. He wanted the license plate in the picture because it’s my car and my name and he thinks I’m really famous. 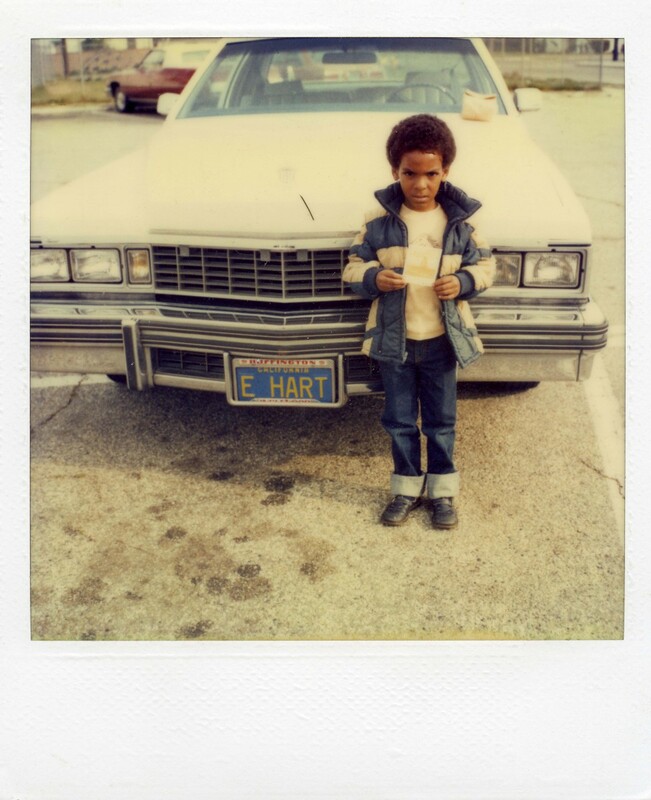 Unless you grew up in the Bay area, you probably don’t recognize the name Eddie Hart. People from around here still remember it. I played baseball for the San Francisco Giants for nine years, 1959-1968. We weren’t a powerhouse team, but in 1962 we managed it make it to the World Series. It was a great experience except we lost the final game to those damn Yankees. I always played left field, Willie Mays was over in center. Willie was something else. He overshadowed everybody but I like to think I wasn’t too bad. In fact, one year, 1966, I even went to the All-Star game. I don’t want to get too carried away here. I wasn’t Hall of Fame material like Willie, but I had a good solid career and followed my active playing days with a few years of coaching before retiring from the game for good. I want to get back to Luke because he’s the point of all this. He idolizes me, always telling his friends about how great I am, showing them my gloves and scrapbooks. He says he wants to play baseball, too, and be just like me. Of course that’s a compliment, but I hope he stops and thinks about it. “You can be anything you want” isn’t entirely true but I tell him to act as though it is. You want to play ball? Go ahead and be the best damn player you can be. You want to teach, be a doctor, be in the movies? Go ahead and follow that star. But I also said, Don’t forget about those all those pictures of buildings you’ve got in your bedroom–buildings of every size and shape. Must be a reason you like collecting them and drawing them. Might be worth thinking about.